Made his debut at 13 years of age in Family, directed by Michael Winterbottom. The following year he appeared on stage for the first time in Buddleia as part of Dublin Theatre Festival before transferring to Donmar Warehouse in London’s West End. He has since starred in 20 theatrical productions. Soon to be seen as Sawyer in Britannia and as Barry in Save Me, both for Sky Atlantic, and as Gordon Close in feature film Maze. 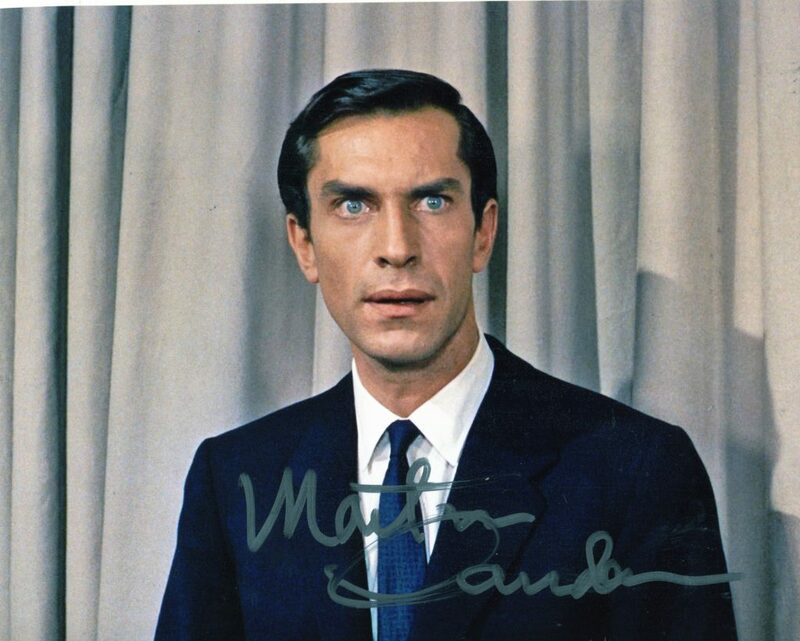 In the first three series of the television show Mission: Impossible (1966-69), Martin Landau, who has died aged 89, played the ace impersonator Rollin Hand, one of the specialists used by the Impossible Missions Force. Hand was described as a “man of a million faces”. Landau’s own face was instantly recognisable, with its haunted eyes, wide mouth and furrowed brow; even when he broke into a smile, he could seem to be frowning. Landau would have known where Lugosi was coming from. After Mission: Impossible, he had been largely typecast, appearing in genre fare with titles that would have shamed Wood himself (such as The Harlem Globetrotters on Gilligan’s Island, 1981). But his career was rehabilitated by three films for quality directors: Francis Ford Coppola’s Tucker: The Man and His Dream (1988), Woody Allen’s Crimes and Misdemeanors (1989) and Ed Wood. All three earned Landau Oscar nominations for best supporting actor; the third resulted in victory (over Samuel L Jackson and Paul Scofield, among others). Lugosi was, he said in his speech, “the part of my life”. Born in Brooklyn, New York, Martin was the son of Jewish parents, Morris, an Austrian-born machinist who attempted a career as a singer, and his wife, Selma. After attending James Madison high school and Pratt Institute, he was employed from the age of 17 as a cartoonist on the Daily News. 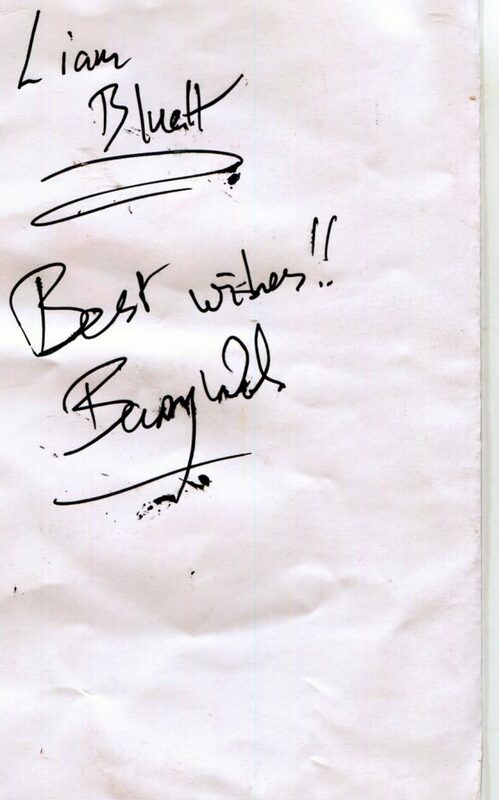 He worked on Billy Rose’s syndicated column Pitching Horseshoes and assisted Gus Edson on the comic strip The Gumps. Although offered promotion at 22, he decided to leave the newspaper and concentrate on acting. 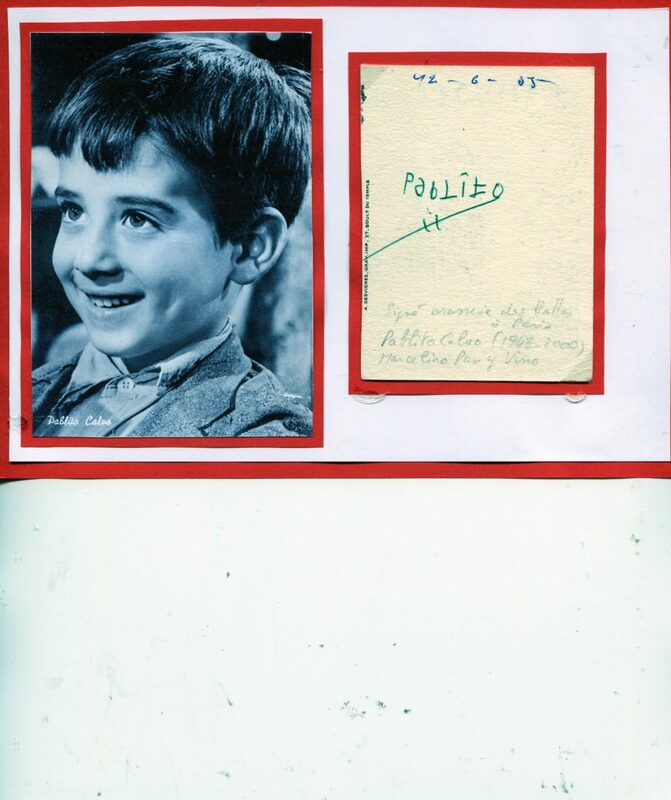 He juggled a dozen roles in summer stock in New England and auditioned for the Actors Studio in New York: Landau and Steve McQueenwere the only two hopefuls admitted from a batch of 2,000 applicants in 1955. That year was overshadowed by the death in a road accident of Landau’s best friend, James Dean, whom he had met at a TV audition years before. At the Actors Studio, Landau was taught by the best – Lee Strasberg, Elia Kazan, Harold Clurman – and began a relationship with a fellow student, Marilyn Monroe. They split up after several months; Landau found Monroe too complicated and was defeated by her frequent costume changes on their dates. When he became a teacher himself, Landau’s students included Jack Nicholson, Anjelica Huston and Harry Dean Stanton. With Mark Rydell, he later ran the Hollywood-based branch of the Actors Studio, set up in 1967. After a handful of TV appearances, Landau broke into film when Alfred Hitchcock saw him on stage in Los Angeles in a touring production of Paddy Chayefsky’s Middle of the Night and cast him opposite Cary Grant in North By Northwest (1959). When Landau asked why he had been chosen for the role of James Mason’s right-hand man, Hitchcock replied: “Martin, you have a circus going on inside you.” Landau decided to make the character gay, adding an extra dimension to the relationship between boss and henchman. He came to specialise in a particular type of unsettling, debonair heavy. In the epic Cleopatra (1963), Landau was General Rufio, hailing Rex Harrison’s Caesar and doing his dirty work (consulting the auguries, finding the rest of the decapitated Pompey) and later memorably pleading with a bathing Elizabeth Taylor from behind a screen. He had a considerable amount of screen time, yet claimed his best scenes were left on the cutting-room floor.Later came a part as the Jewish high priest Caiaphas in The Greatest Story Ever Told (1965) and horse operas big and small, including Nevada Smith (1966 ) with McQueen. In the comedy western The Hallelujah Trail (1965) he was a deadpan Sioux tribesman, Chief Walks-Stooped-Over, leading an attack on a wagon train in a fierce sandstorm. Mission: Impossible brought him primetime exposure and an opportunity to work with his wife, the actor Barbara Bain, whom he had married in 1957. The pilot episode found Rollin Hand disguised as a dictator bent on nuclear destruction. After more than 70 episodes, three Emmy nominations and a Golden Globes award, Landau left the series after a contract dispute. In They Call Me Mister Tibbs! (1970), he was a preacher caught up in a murder investigation undertaken by Sidney Poitier. The film gave him a fiery sermon, delivered with wild eyes and abundant sweat before a packed congregation. He and Bain moved to Britain to star in the TV series Space: 1999 (1975-77), created by the husband-and-wife team of Gerry and Sylvia Anderson. Landau was John Koenig, the commander of Moonbase Alpha, a character with integrity, humanity and authority. He was proud of how topical events were mirrored in the plots (one episode paralleled Henry Kissinger’s role in the Middle East) but he felt the series became increasingly silly. After leaving the show, Landau drifted in disappointing material for 10 years. Then came Tucker: The Man and His Dream and a role to savour. Landau excelled as Abe, a financier who hustles up the money for an engineer, Preston Tucker (Jeff Bridges), to create “the car of tomorrow, today”. Previously, Landau’s height had mostly been imposing. As Abe, he walked with a hunch, as if carrying the weight of his past. Always complaining, Abe is the antithesis of the exuberant Tucker – the same dynamic would exist between Landau and Johnny Depp’s characters in Ed Wood. It was not a box-office hit, but Coppola’s film put Landau back on the map and he was rewarded with a rich and unusually large role in Crimes and Misdemeanors. Allen cast Landau as Judah Rosenthal, who intercepts a letter from his mistress to his wife and, after grappling with his conscience, sanctions his mobster brother to arrange a professional hit. Judah is an ophthalmologist who feels the “eyes of God” upon him; and Landau’s troubled gaze, upon hearing that his brother has taken care of the situation, is the film’s defining image. Offset by a comic plot involving Allen and Alan Alda, Landau’s performance is full of anxiety and panic. Unusually for an Allen film, Landau was shown the whole script before filming began (Allen’s actors often just see their section). He told Allen that viewers must be able to identify with Judah, and the character was adapted accordingly. Another challenging part, as the Nazi hunter Simon Wiesenthal in the TV movie Max and Helen (1990), earned him a phone call from Wiesenthal: “I have something to say to you. You were perfect.” After big-budget, bland choices, such as Sliver (1993) and Intersection (1994), Ed Wood gave Landau a dream role, if a daunting one. “It’s a Hungarian morphine addict alcoholic who has mood swings,” he said. “That would be hard enough, but it has to be Bela Lugosi!” Ten years earlier, Landau had played Dracula on stage with the same script that had been used for Lugosi’s theatrical performance as Dracula of the 1920s. Not only did Landau learn a Hungarian accent for Ed Wood, but he spoke the dialogue as if trying to conceal his heavy accent – just as Lugosi had. After playing Geppetto in a pair of Pinocchio films (1996, 1999) and appearing in the 1998 film of the TV series The X-Files, he took a role in the Capra-esque The Majestic (2001), set against the backdrop of Hollywood in the 50s. On TV, he was Abraham in an all-star biblical epic, In the Beginning (2000), and had recurring roles in Without a Trace and Entourage that brought him Emmy nominations. His greatest later project was the stop-motion animated film Frankenweenie (2012), which reunited him with Burton. With a heavy accent, Landau was the voice of the sinister science teacher Mr Rzykruski, who terrifies his pupils and has shades of the actor’s knockout performance as Lugosi. In Remember (2015), he played an Auschwitz survivor who helps Christopher Plummer with his revenge mission to track down a former Nazi officer. Landau and Bain divorced in 1993. He is survived by their daughters, Susan, a writer and producer, and Juliet, an actor. 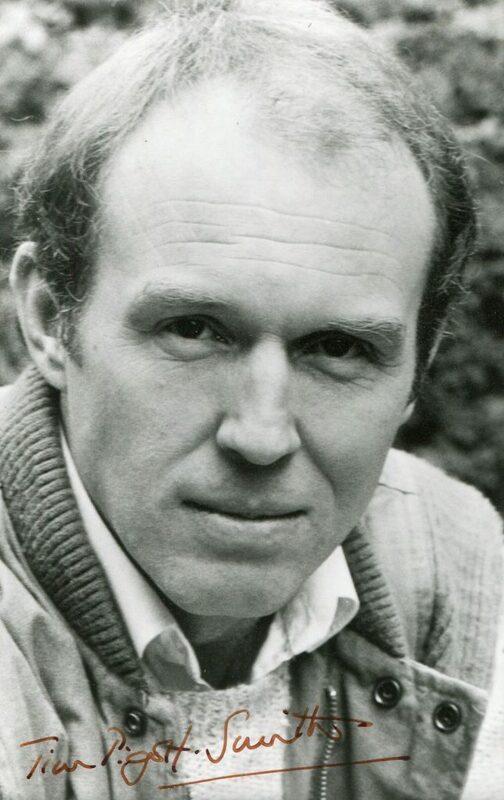 The only unexpected thing about the wonderful actor Tim Pigott-Smith, who has died aged 70, was that he never played Iago or, indeed, Richard III. Having marked out a special line in sadistic villainy as Ronald Merrick in his career-defining, Bafta award-winning performance in The Jewel in the Crown (1984), Granada TV’s adaptation for ITV of Paul Scott’s Raj Quartet novels, he built a portfolio of characters both good and bad who were invariably presented with layers of technical accomplishment and emotional complexity. He emerged as a genuine leading actor in Shakespeare, contemporary plays by Michael Frayn – in Frayn’s Benefactors (1984) he was a malicious, Iago-like journalist undermining a neighbouring college chum’s ambitions as an architect – and Stephen Poliakoff, American classics by Eugene O’Neill and Edward Albee, and as a go-to screen embodiment of high-ranking police officers and politicians, usually served with a twist of lemon and a side order of menace and sarcasm. He played a highly respectable King Lear at the West Yorkshire Playhouse in 2011, but that performance was eclipsed, three years later, by his subtle, affecting and principled turn in the title role of Mike Bartlett’s King Charles III (soon to be seen in a television version) at the Almeida, in the West End and on Broadway, for which he received nominations in both the Olivier and Tony awards. The play, written in Shakespearean iambics, was set in a futuristic limbo, before the coronation, when Charles refuses to grant his royal assent to a Labour prime minister’s press regulation bill. 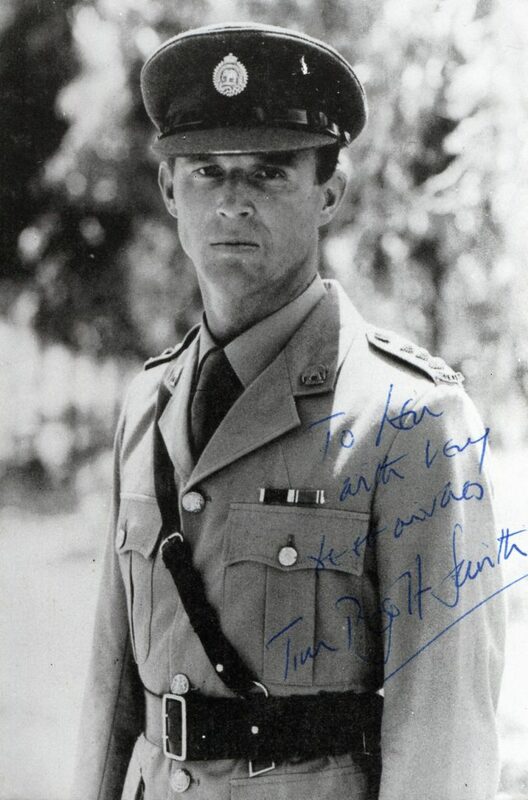 The interregnum cliffhanger quality to the show was ideal for Pigott-Smith’s ability to simultaneously project the spine and the jelly of a character, and he brilliantly suggested an accurate portrait of the future king without cheapening his portrayal of him. Although not primarily a physical actor, like Laurence Olivier, he was aware of his attributes, once saying that the camera “does something to my eyes, particularly on my left side in profile”, something to do with the eye being quite low and “being able to see some white underneath the pupil”. It was this physical accident, not necessarily any skill, he modestly maintained, which gave him a menacing look on film and television, “as if I am thinking more than one thing”. Born in Rugby, Tim was the only child of Harry Pigott-Smith, a journalist, and his wife Margaret (nee Goodman), a keen amateur actor, and was educated at Wyggeston boys’ school in Leicester and – when his father was appointed to the editorship of the Herald in Stratford-upon-Avon in 1962 – King Edward VI grammar school, where Shakespeare was a pupil. Attending the Royal Shakespeare theatre, he was transfixed by John Barton and Peter Hall’s Wars of the Roses production, and the actors: Peggy Ashcroft, with whom he would one day appear in The Jewel in the Crown, Ian Holm and David Warner. He took a part‑time job in the RSC’s paint shop. At Bristol University he gained a degree in English, French and drama (1967), and at the Bristol Old Vic theatre school he graduated from the training course (1969) alongside Jeremy Irons and Christopher Biggins as acting stage managers in the Bristol Old Vic company. He joined the Prospect touring company as Balthazar in Much Ado with John Neville and Sylvia Syms and then as the Player King and, later, Laertes to Ian McKellen’s febrile Hamlet. Back with the RSC he played Posthumus in Barton’s fine 1974 production of Cymbeline and Dr Watson in William Gillette’s Sherlock Holmes, opposite John Wood’s definitive detective, at the Aldwych and on Broadway. He further established himself in repertory at Birmingham, Cambridge and Nottingham. He was busy in television from 1970, appearing in two Doctor Who sagas, The Claws of Axos (1971) and The Masque of Mandragora (1976), as well as in the first of the BBC’s adaptations of Elizabeth Gaskell’s North and South (1975, as Frederick Hale; in the second, in 2004, he played Hale’s father, Richard). His first films were Jack Gold’s Aces High (1976), adapted by Howard Barker from RC Sherriff’s Journey’s End, and Tony Richardson’s Joseph Andrews (1977). His first Shakespeare leads were in the BBC’s Shakespeare series – Angelo in Measure for Measure and Hotspur in Henry IV Part One (both 1979). A long association with Hall began at the National Theatre in 1987, when he played a coruscating half-hour interrogation scene with Maggie Smith in Hall’s production of Coming in to Land by Poliakoff; he was a Dostoeyvskyan immigration officer, Smith a desperate, and despairing, Polish immigrant. In Hall’s farewell season of Shakespeare’s late romances in 1988, he led the company alongside Michael Bryant and Eileen Atkins, playing a clenched and possessed Leontes in The Winter’s Tale; an Italianate, jesting Iachimo in Cymbeline; and a gloriously drunken Trinculo in The Tempest (he played Prospero for Adrian Nobleat the Theatre Royal, Bath, in 2012). The Falstaff on television when he played Hotspur was Anthony Quayle, and he succeeded this great actor, whom he much admired as director of the touring Compass Theatre in 1989, playing Brutus in Julius Caesar and Salieri in Peter Shaffer’s Amadeus. When the Arts Council cut funding to Compass, he extended his rogue’s gallery with a sulphurous Rochester in Fay Weldon’s adaptation of Jane Eyre, on tour and at the Playhouse, in a phantasmagorical production by Helena Kaut-Howson, with Alexandra Mathie as Jane (1993); and, back at the NT, as a magnificent, treacherous Leicester in Howard Davies’ remarkable revival of Schiller’s Mary Stuart (1996) with Isabelle Huppert as a sensual Mary and Anna Massey a bitterly prim Elizabeth. In that same National season, he teamed with Simon Callow (as Face) and Josie Lawrence (as Doll Common) in a co-production by Bill Alexander for the Birmingham Rep of Ben Jonson’s trickstering, two-faced masterpiece The Alchemist; he was a comically pious Subtle in sackcloth and sandals. He pulled himself together as a wryly observant Larry Slade in one of the landmark productions of the past 20 years: O’Neill’s The Iceman Cometh at the Almeida in 1998, transferring to the Old Vic, and to Broadway, with Kevin Spacey as the salesman Hickey revisiting the last chance saloon where Pigott-Smith propped up the bar with Rupert Graves, Mark Strong and Clarke Peters in Davies’ great production. He and Davies combined again, with Helen Mirren and Eve Best, in a monumental NT revival (designed by Bob Crowley) of O’Neill’s epic Mourning Becomes Electrain 2003. Pigott-Smith recycled his ersatz “Agamemnon” role of the returning civil war hero, Ezra Mannon, as the real Agamemnon, fiercely sarcastic while measuring a dollop of decency against weasel expediency, in Euripides’ Hecuba at the Donmar Warehouse in 2004. In complete contrast, his controlled but hilarious Bishop of Lax in Douglas Hodge’s 2006 revival of Philip King’s See How They Runat the Duchess suggested he had done far too little outright comedy in his career. 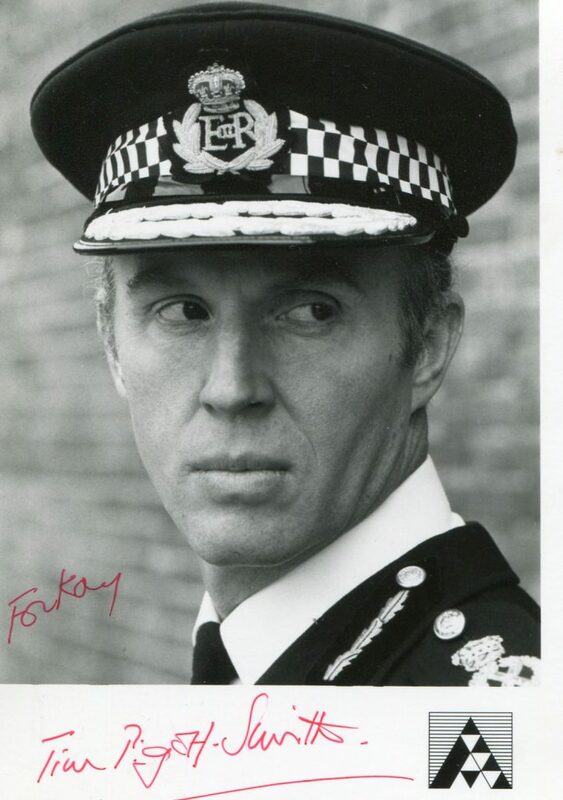 Television roles after The Jewel in the Crown included the titular chief constable, John Stafford, in The Chief (1990-93) and the much sleazier chief inspector Frank Vickers in The Vice (2001-03). On film, he showed up in The Remains of the Day (1993); Paul Greengrass’s Bloody Sunday (2002), a harrowing documentary reconstruction of the protest and massacre in Derry in 1972; as Pegasus, head of MI7, in Rowan Atkinson’s Johnny English (2003) and the foreign secretary in the Bond movie Quantum of Solace (2008). In the last decade of his life he achieved an amazing roster of stage performances, including a superb Henry Higgins, directed by Hall, in Pygmalion (2008); the avuncular, golf-loving entrepreneur Ken Lay in Lucy Prebble’s extraordinary Enron (2009), a play that proved there was no business like big business; the placatory Tobias, opposite Penelope Wilton, in Albee’s A Delicate Balance at the Almeida in 2011; and the humiliated George, opposite his Hecuba, Clare Higgins, in Who’s Afraid of Virginia Woolf, at Bath. At the start of this year he was appointed OBE. His last television appearance came as Mr Sniggs, the junior dean of Scone College, in Evelyn Waugh’s Decline and Fall, starring Jack Whitehall. He had been due to open as Willy Loman in Death of a Salesman in Northampton prior to a long tour.